"I thought you might like to know that Professional Widow has been voted the best single of 1996, and also the best remix of 1996 in the reader's poll, just published, of Mixmag's sister magazine, Mixmag Update. Unfortunately, it also came second in Most Irritating Song of the Year category, but you can't win 'em all, eh?" Tori #60 on WHFS Top 99 Songs of 1996. "Caught A Lite Sneeze came in at #60 on the top 99 songs of the year at WHFS 99.1 FM in Washington/Baltimore/Annapolis." Listeners at Triple J radio station in Australia have made Professional Widow #98 on the Hottest 100 Countdown for 1996. 1 - Lyle Lovett - "The Road To Ensenada"
2 - Shawn Colvin - "A Few Small Repairs"
3 - REM - "New Adventures In Hi-Fi"
4 - Fiona Apple - "Tidal"
5 - Counting Crows - "Recovering The Sattelite"
6 - Dar Williams - "Mortal City"
7 - Nil Lara - "Nil Lara"
8 - Dave Matthews Band - "Crash"
9 - Suzanne Vega - "Nine Objects of Desire"
10 - Wallflowers - "Bringing Down The Horse"
11 - TORI AMOS - "BOYS FOR PELE"!!!!! Not only do the critics at Spin have great taste (see below) but so do its readers. Tori ranked high in 3 categories for the 1996 reader's poll that appears in the Febuary 97 issue. Special thanks to Robbie Heacock and Marci for being the first to tell me! If there are three things that 1996 will be known for in my mind, they are 1) it's the year I finally got my act together 2) it's the year I finally got my mind together and 3) it's the year Tori Amos released one of the best albums ever made. Really, #3 is, in many ways, responsible or at least partially responsible, for #s 1 and 2. Now, knowing that, I had, at one point, decided to try to be objective about this, and not name my favorite artist as the creator of the the best album of the year. So, I turned off my biases and listened again, and lo and behold, this was still the best of the year. I'm still not entirely sure it's not the best of the last decade or so. As always, Tori's music is pure in it's sweetness, tainted in it's darkness, and awesome in it's beauty. As always, her voice is that of an angel, but an angel that has touched the dirt of the earth and come away just a little less than clean. And yet, it's different from her previous works. It carries with it a passion, and a pain, that not even Little Earthquakes can match - that Under The Pink can't compare to. To listen to this album is both agony and comfort. It is a genuine catharsis... the most painful kind. It will tear every piece of loneliness and hurt you have inside you from your soul, and make you look it right in the face, just before Tori whispers in your ear that yes, everything will be okay, and starts to stitch you up again. This album will change lives, break hearts, and heal souls. The word "genius" is too often flung around in the music business, as in the film industry, often being attributed to anyone who can keep a tune, or write one. The word should not be used so frivilously. It should be saved for people who deserve it. And if that's not Tori Amos, I don't know who it is. And if this is not a masterpiece, I don't know what is." "Mythology for a private culture we can never be sure isn't also ours." Radio 1, a big radio station in the UK, did a chart of their listeners' favorite dance tracks of all time and Professional Widow was ranked #27. "Every year Rolling Stone does a Readers and Critics Award for the Best and Worst of the Year....well Ms. Tori finished SECOND in the Best Female Singer category - Readers Poll ! (Critics poll did not have that category). This is quite an accomplishment. (Joan Osborne came in first)." In the Melody Maker Reader's Poll, Tori ranked 10th in the Best Female Artist category! "I was just listening to Energy 108 (a Toronto music station) and Tori Amos' dance remix to Professional Widow was voted #1 dance remix of 1996. Just as you said "who would've guessed?"" "I was surfing in the MuchMusic web site and discovered a list generated by votes of everyday viewers. It is the final compilation of the Top 97 music videos from the viewer's point of view. The exciting part is that our darling Miss Amos' "Caught A Lite Sneeze" video ranked #63 in a chart primarily dominated by this year's sweethearts Bush X, No Doubt, and Marilyn Manson." "Just thought you'd might like to know that Tori's wonderful wee single, Cornflake Girl, made it into the Top 100 ever songs on the UK national Radio Station, Virgin, voted by the public who phoned in. She was rewarded with a very successful 54th place. Not bad, really. Oh, Bon Jovi were at 5, Alanis 4, Seal 3, REM were second and, shock- horror, Oasis's Wonderwall was the listeners favourite." "Professional Widow has been voted single of the year by Mixmag and Muziq (Britain's two best-selling dance music magazines), as well as by another dance mag, Wax." "Tori received 2nd place in Best Live Act in the Alternative Press reader's poll (right behind Marylin Manson)." "Something made her very angry: a love gone mean, a promise unkept. 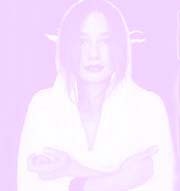 So Tori Amos rendered her bitterness mythical. Wild imagination led her into ancient legend, intimate memory, and a dreamland where only she could read the signposts. She returned with a map: these songs, poetic in structure, ultra-vivid in tone, many rendered in the harpsichord's arcane language. A great leap in her expedition through uncharted areas of the feminine." In Billboard magazine's year-end issue, Boys For Pele was ranked the 100th album of 1996 in terms of sales, and Professional Widow was in the top 10 on the 1996 Dance: Club Play Chart. In Gavin's year-end charts, Tori is listed several times. Boys For Pele is #32 on the A3 chart and #68 on the College Albums list. Caught A Lite Sneeze is #47 among Alternative Singles. In the "Best and Worst of 96" issue of Entertainment Weekly, in the Music section, Tori's In the Springtime of His Voodoo got voted for Worst Song Title. How rude! Tori's name appears in an article on the CNN Web Site from December 25th called Kiss draws most concert crowds in 1996. While she was not in the top 10 list for the year based on ticket gross, her name was mentioned. Many thanks to John, mr. saint for making me aware of this! "On the plus side, a number of new acts established themselves as solid, if not spectacular, concert draws this year: Alanis Morissette, Oasis, Bush, Smashing Pumpkins, Phish and Tori Amos in particular..."
"On 99X in Atlanta they had the top 30 albums of '96 (by how many were bought in Atlanta) countdown on Saturday. Tori was at #30 on the countdown. I heard CALS on the radio for the first time." I will also add that Tori was also voted 91st best album of all time (for LE) in Atlanta by the listeners of 99X. 'Best Concerts of 1996... Without further ado, here are the Top 10 concerts that rocked-or at least rattled- Toronto in 1996. 7. TORI AMOS, May 27, Massey Hall: The kooky but lovable Amos completely captivated her audience, whether playing piano or harpsichord (she sat in between the two on stage) and managed to make her "out -there" film images projected onto a large, triangular screen behind her seem perfectly acceptable in the 90's. Amos, a classically trained child prodigy, is a woman of distinct vision and style. May the years not change her into a cynic. Wow!!! She's amongst some pretty huge acts! - but we already knew that. It's nice to have The Dew Drop Inn Tour confirmed as a truly amazing show, but it's too bad that the writer of both columns (Jane Stevenson) has to constantly refer to Tori as "kooky" or "a weirdo"."